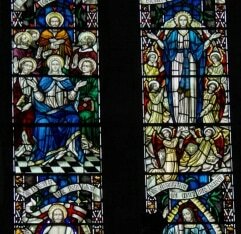 Have you noticed that many of our beautiful stained glass windows depict the Mysteries of the Rosary? 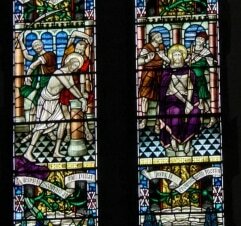 Below you will see pictures of nine of our stained glass windows, each one depicting the Glorious, Sorrowful and Joyful Mysteries. 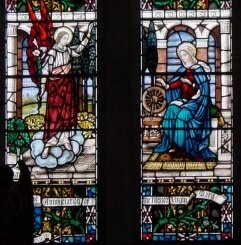 Perhaps when you visit the Cathedral you may wish to take a closer look at these windows (as close as possible!) and pray on the meaning of each Mystery.